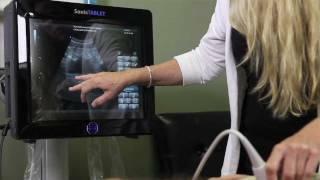 SonixOne Q+ is an easy-to-use ultrasound system for regional anesthesia, pain management, EMED, MSK, and reproductive medicine. SonixOne gives you fast and efficient imaging performance. View images more clearly on a high resolution, 19” LED monitor. SonixOne is ideal for reproductive medicine, biopsy guidance, MSK, podiatry, and small clinics with limited budgets. Innovative needle guidance technology is ideal for guiding interventional procedures. 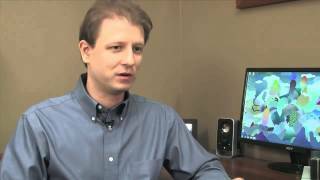 Learn more about SonixGPS and SonixShine. Fully programmable color touch screen that only shows you the controls you need for the procedure at hand. This unique system can be mounted from the ceiling or wall to preserve floor space, mounted to a cart for mobility, or placed on any flat surface. * SonixOne Q+ is not cleared by Health Canada and it is not currently available in the People's Republic of China. 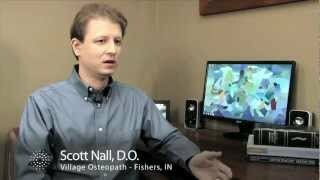 Dr. Scott Nall discusses how ultrasound plays a role in his orthopedic practice. How ultrasound was used to find and treat an old, nagging injury in a hockey player.